Are you ready for the beautiful, Portuguese Algarve? Faro is the capital of this region and has a distinctly Portuguese feel. Combining an attractive Marina with a beautiful old town, nice parks and a fascinating chapel, staying in this town before heading out into other parts of Portugal is a must. On top of that, its nice cafés and amazing food will make down times unforgettable. 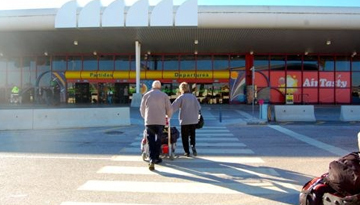 Flights to Faro from the UK are a plenty, with low cost, charter flights and all year round scheduled services it is easy to compare and find cheap flight tickets to Faro. The region of Faro was inhabited from as early as the Paleolithic age. However, it first grew into an important town under Roman occupation. Tides of Visigothic and then Moorish rulers left their imprint on the town. In 1249, the Portuguese king Afonso III finally brought Faro under Portuguese rule. Due to its location in the Algrave region, Faro is the perfect destination for anyone who likes sunbathing and – if you do not mind the colder Atlantic water – any type of water sports. From there, you can take a ferry or bus to the charming old town centre within a matter of minutes. Faro's old town is small but really nice. Check out the cathedral from 1251, which was rebuilt in Baroque, Renaissance and Gothic styles in 1755. Just close-by you will find the archeological museum in a convent from the 16th century. Also, worth noting is Faro's Igreja do Carmo church, the chapel of which is built out of bones entirely. This may seem eerie, but it actually looks fascinating! The Ria Formosa natural reserve, which is an important bird area and one of the most amazing places in the Algarve, is another go-to place. As Faro lies directly next to this natural wonder, taking a boat there is a breeze. Tours leave from a jetty by the Centro Historico. However, any trip to Faro wouldn't be complete without a good glass of local wine and a yummy Caldeirada – a fish stew, which is typical for the region. We recommend taking the meal in one of the restaurants in the old town to enjoy it to the amazing atmosphere. Most of Faro's highlights are within walking distance, which means that you can easily get around by foot. If you do need public transport, buses 16 and 14 serve both the city and the airport. 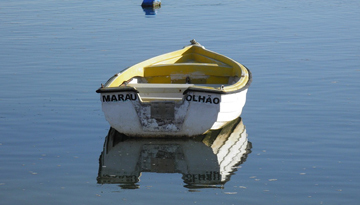 Due to the summer being relatively rain free, it is best to travel to Faro in May, June or September. In July and August, it usually is overrun by tourists! 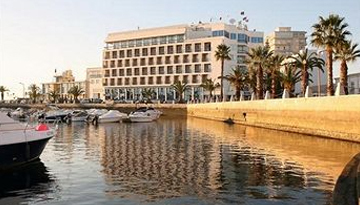 Fly from London Gatwick - Faro & Stay for 7 nights with 3 star accommodation. Bed & Breakfast.